Author Stephen King has explained the appeal of the creepy clown horror movie that broke box office records. 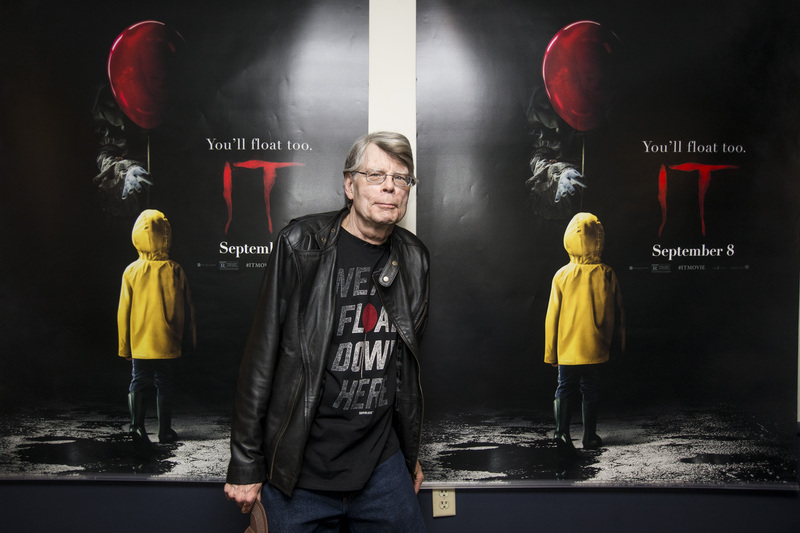 Stephen King has praised the remake of “IT” for playing on the “weird viral” craze involving scary clowns which rose to prominence last year, making the movie seem all the more terrifying. The 68-year-old writer penned the iconic novel in 1986 which was first adapted into a two-part miniseries in 1990, before being adapted for the big screen again earlier this year in a movie starring Bill Skarsgård as the murderous villain Pennywise the Clown. He said: “I think one of the things that really happened was that 1990 miniseries. A whole generation of kids between the ages of eight and 14 were scared shitless by Tim Curry and when the new one came out it was a chance to revisit that particular experience in their childhood. Then there was this weird viral bulge in stories about creepy clowns. That was in the press all over the place. King first saw the new movie in the form of a rough cut last year, and he insists he knew from the start that it would be a success. He told Entertainment Weekly: “I knew when I saw it a year ago in Florida in a rough cut that it was going to be a hit, but I don’t think anybody knew it was going to be, you know, like $700 million dollars worldwide. IT became the highest-grossing horror movie at the US box office following its release in September this year. IT: Chapter 2 is set to enter production in early 2018, and is slated to hit screens two years after the first chapter in September 2019.